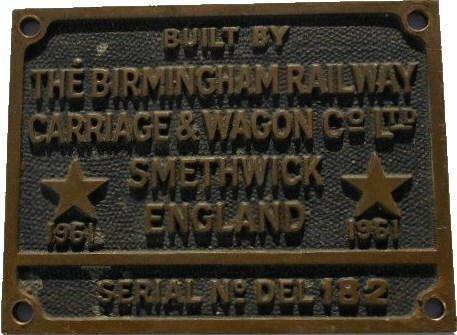 Lot 191 BRCW Diesel Loco Cab Plate "DEL 182 - 1961". As carried by Class 33 D6578 - 33 059. Ex Loco condition.